If you're just starting to earn your stripes in the vape game, the wealth of choice can be, well, somewhat daunting. You've no doubt heard plenty about concentrates. While they're admittedly quite awesome, sometimes, you just want to stick with dry herb. Not all portable vapes are built for it, though, so it's important to go with the best vaporizer for dry herb that you can find. Now, here's the real conundrum. It's hard to find out which vapes are compatible, and even when you do, it's not always evident which is the best dry herb vaporizer. 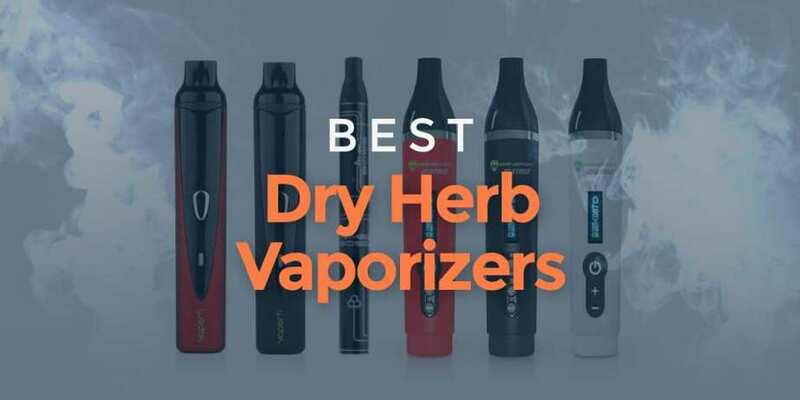 I know the struggle, which is why I've put together a handy list of some of the best herbal vaporizer pens, along with some detailed info on their specs and how they work once you get your hands on them. So, what did th​ose vapes ​do to make it to our list? Ideally, you want your vape to reach high temperatures to give you good clouds. 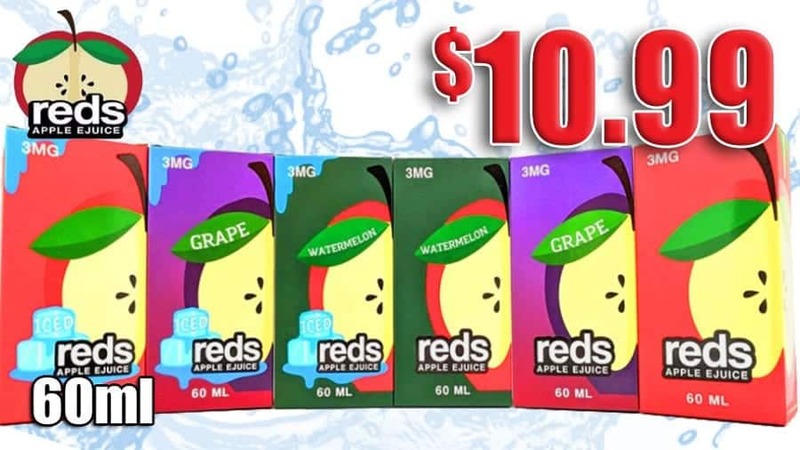 A great example is the Hookah pen; it provides the best tasting vapor and ensures a hassle-free vaping experience. It has the look of a standard portable vape pen. This one isn't for e-juice, though, the Orbit is strictly for the dry stuff. It does it's job well, making it one of the best dry herb vape pen out there. Let's start with the look of the device. There are two color schemes, black and red. It's got quite a unique form, substantial, beefy, and good to hold. No metal mouthpiece here, they've gone with a silicone mouthpiece for this design. It took a bit of getting used to, but I actually ended up liking the silicone as it didn't conduct as much heat, providing a more pleasant experience. It's a bit on the short side, but if you're not a fan of the stubby mouthpiece you can easily swap in an extender. They conform to the mouth very well and make the draw even smoother. This is a minimalistic operation device, with one button that controls all the functions. Very slick, and very easy. I've heard some that have remarked that using the Orbit was complicated. That wasn't the experience that I had. I found using the Orbit very intuitive and would rate ease-of-use on this device highly. Once you get the hang of the button presses and LED lights, you'll be zipping through settings and functions with no trouble at all. In case you were wondering, you use the one button operation to cycle through different heat mods. Red is the lowest, green is a mid-range setting and blue is the highest. The battery is a fair capacity, 2200mAH. It fires clean, it heats up in under a minute (pretty quick) and reaches a top temperature of 420°F. Not the hottest around, but I'm actually a fan of the reduced levels as it produces a cooler, sweeter taste. When it comes to quality, you'll be getting some of the best vapor and cloud production I've seen on a device of this size, likely a benefit of the powerful atomizers that you can pair with the device. The battery will last you a good while and can go big without overheating. The chamber is also quite substantial. I was able to pack it to capacity (1.7 ml) with no problems. You can get more than enough herb in the chamber for long sessions, and this device has the power to hang with you. Overall, this is a great device, with plenty of extra features to enhance the vaping experience. If you want one of the best dry herb vaporizers, you can't go wrong with the Orbit. This model is sleek, capable, and easy to use. It's a triple threat, in more ways than one. You can operate the Pro Series with dry herb, concentrates, or juice, a level of versatility rarely seen (but much appreciated). 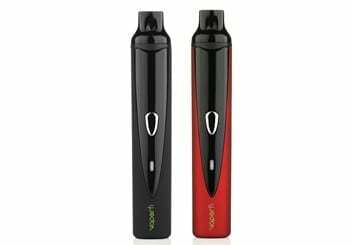 It looks good, comes in several color options, and has plenty going on in terms of features to convince ​us to add it to our list of dry herb vape pen reviews. Let's start with the design. It looks like one of your standard multi-piece threaded deals, but the Pro Series actually uses magnetic coupling to hold the segments together. It limits your options on attachments, true, but also makes the Pro Series very convenient. Simply snap the pieces in place, and you're good to go. V2's attachments are reasonably priced too, so it's not a situation where they're forcing you into buying their stuff to bilk you. It's not super bulky, like many herbal vaporizers you'll see. The Pro Series, it turns out, is actually quite compact. It's capable of fitting in your pocket along with a few extra cartridges no sweat. It measures just under six inches long, with a diameter just over 1/2 an inch. The device weighs 50 grams, making it one of the lightest out there. Like many pen style devices, the Pro Series has a one button setup allowing for easy operation. Just hit the button to fire up, and away you go. It will auto-shutoff after about 10 seconds of idling. You can initiate shutoff yourself by hitting the operating button three times in succession. When it comes to heating up, this isn't the heaviest hitter (it gets up to around 375°F). The Pro Series is consistent, though, heating up quickly (usually 15-30 seconds) and reliably. The vapor production is good, and you'll get a clean, smooth draw no matter what substances you're using. The auto shutoff will keep you from overheating this one. The chamber is ample, measure about 1.6ml. Load it up for long sessions, and you'll be getting hundreds of puffs, backed by the 650mAH battery. Not the most powerful battery out there, but good enough to deliver long life. It charges quickly as well, a definite plus. The V2 Pro Series is a hit, one that you'd do well to at least give a glance. This is a high-end portable vaping device, and one of the best dry herb vape pen I've seen. It's somewhat bulkier than other options out there, but it's solid and super durable. Don't be ​overwhelmed by the futuristic display and multi-button interface; the Matrix is actually pretty easy to pick up and use. If you've ever tried out the Stratus before, you'll find that this device is very similar. If you didn't know the device was plastic, you'd not be able to tell from a glance. The build quality on this one is just that high. As I mentioned, it has an easy to read OLED display where you can monitor your settings, including battery life and temperature. Speaking of which, you can fire the Matrix all the way up to 435° F, taking advantage of the many presets and fine-tuning options as well. It heats up quick (under 30 seconds), and the last temperature setting remembers your most previous settings, so you're not constantly fiddling with the device. For those that prefer the metric system, you can control the temperature in Celsius as well. The level of vapor production is excellent. After a brief "warm up" period, that is. At first, you'll have a bit of difficulty getting anything substantial. Once you get it going, though, you'll get big clouds in a nice smooth draw, provided you don't overheat your herb. As I mentioned, this one gets hot, so you'll have to pay close attention to make sure you aren't getting a burnt flavor. Despite that, the Matrix is still a good model for beginners that's easy to learn. Battery life on the portable devices is very capable. You can generally get a good eight hours of use on a single charge. When the battery is drained, you can recharge it quickly via micro USB. You can pack the chamber with plenty of material, regardless of your preference. This is a solid all-around device; hand's down. This is a slick, futuristic looking pen-style device. Most will enjoy smooth stainless steel finish, though the black option is equally stylish. The exterior etched design is one of the coolest I've seen on a vape pen. It's scratch resistant, so no worries about ruining the impressive finish while handling. The size is just right, too. At about 6 inches long and 0.65 inches in diameter, it provides heft without being bulky and is easy to slip in the pocket. Operating the device is simple. This is a one-button design, like many other pens, so it's pretty much as simple as loading your device and firing it up. Which, by the way, takes about 45-60 seconds. Not the quickest I've seen, but not terrible. In terms of heating, you'll get this one up to 400°F, which is just about where I usually prefer to vape. You just can't adjust it, but that's not too big of an issue here. Thanks to the rubber mouthpiece, you don't have to worry too much about heat transfer burning up your lips. The battery is strong enough to last throughout the day, and while it's not the biggest, it is more than enough to power the Boss and get your herbs heated up properly. Like many vapes of this style, the Boss has several safety settings, including an auto shut-off. It will engage after about a minute, so if you leave the device idle, you'll have to power it back up to get back to your session. It does help with battery life, but it is also a minor inconvenience as it's set to a quicker interval than most other devices. Still, this is one of the best herb vaporizer pens for those that like the discreet profile. Simple in its appearance, the Phantom is an efficient device that hits hard, but clean. The operating temperature is set between 374°F to 420°F. You can't adjust the temperature in small increments, which is good for those that don't like to fool with settings but somewhat constricting for the tuners out there. You can select between different temperature modes, though: low, mid, and high. The clouds are big and powerful, and the taste is never burnt or harsh. When it comes to firing up herb, this device does the job. This isn't as small as the mini version of the device, but the regular Phantom is still discreet. It's nearly 7 inches long, and about 0.8 inches in diameter. Bold when held in the hand, but the all black finish aids in making this a near-perfect option for stealth vapers. You can fit the Phantom with a powerful 18500 battery, giving you plenty of power off a charge. They take a little while to charge (about six hours), but once you have them at full power, you'll be in for some lengthy sessions with the device. You can fill the chamber up with a good amount of material too, enough for some quality vape time. I'd have liked the option of variable wattage or voltage with this device, but it still gets the job done quite well, so that's only a minor concern. Overall, this is one of the best herb vaporizer pen I've tried out. You've got your picks; now you just need to make your choice! These are all outstanding options, though I'm inclined to give the nod to the VaporFi Orbit. I'm a fan of the built-in battery design. It's got a good draw, great temperature range, and a nice build. It's a great device for the money, and one you should definitely give an eye. One last thing to keep in mind is that several vape pens come in multiple designs and provide additional functions. This can give you the chance to select one that is perfect for your own unique style. Check out our latest vape pen reviews to decide what works for you.